Below is a comprehensive list of hotels in Sutton Scarsdale Hall. Use the sort links to refine your search or to find featured accommodation in Sutton Scarsdale Hall. Many of our hotels in Sutton Scarsdale Hall feature no booking fees and best price guarantee when booked through the Pictures of England website. To list your hotel in Sutton Scarsdale Hall, click here. 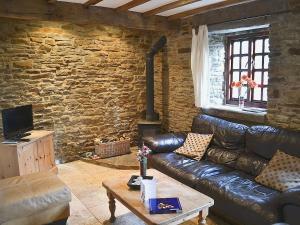 Set in a Grade II listed building, Old Rectory Guesthouse is located in the preservation area of Staveley Town. The Peak District National Park and th.. 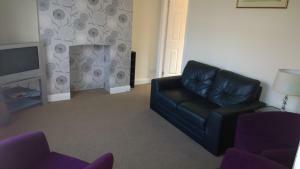 Situated in Chesterfield, this air-conditioned apartment features free WiFi. The unit is 37 km from Nottingham. Free private parking is available on s.. Situated in Chesterfield, this holiday home features a patio and a garden. It provides free private parking. The kitchen is equipped with an oven and..
Just a 9-minute drive from the centre of Chesterfield , the Olde House by Marstons Inns offers accommodation and an attractive restaurant and bar in D.. 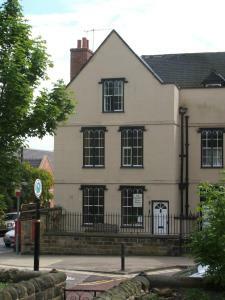 Featuring free WiFi, Holland Road is a holiday home, situated in Chesterfield. It provides free private parking. The kitchen has an oven and a microw..
Set in Chesterfield in the Derbyshire Region, this semi-detached holiday home is 40 km from Nottingham. It provides free private parking. Free WiFi is.. Dusty Miller is situated in the scenic Derbyshire countryside and only 25 minutes’ drive from the Peak District. 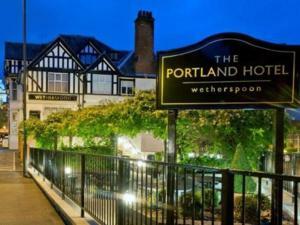 It features a carvery restaurant an..
A former coaching Inn, the 18th-century Sitwell Arms Hotel is set in 6 acres of beautiful gardens, 6 miles outside Sheffield. On-site it offers an ele..
Tawny Owl Barn is a holiday home set in Chesterfield in the Derbyshire Region and is 40 km from Nottingham. The property is 14 km from Sheffield and f..